I found myself at work covering a shift and was able to join the afterschool creative drop-in session offered at the Library. The kids were making some pirate based drawing and I could not help but add some electronic bling to one of the pictures. Grabbing some left over components form the Makerspace, I was able to introduce a very basic idea of electronic to the kids, and showed them how to integrate the idea into their artwork! 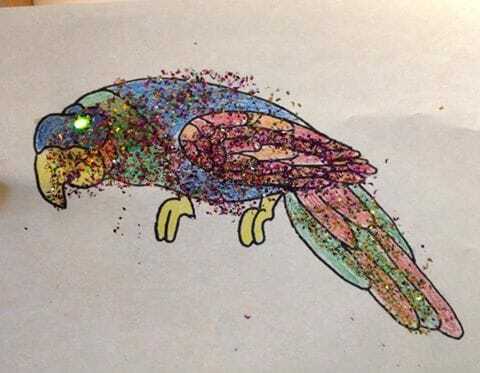 Adding a green LED to a picture of a parrot made the children’s day. A simple job, it’s now something that will be included in the program. Nothing like a little light to take something to the next level.